As the market braves another bear run, cryptocurrency enthusiasts are biding their time while the opposing sentiments of ‘Bitcoin will soar’ and ‘the bubble has burst’ are echoing through the media. This is not new for the crypto world however, this happens every time there is a dip in prices of Bitcoin and the alternative cryptocurrencies that make up this market. It does, however, bring into question what traders can do in a climate as this and whether crypto trading landscape will mature fast enough to match the growth of its traditional counterpart. One upcoming exchange is answering these questions with its trading platform, called idap.io-the first complete Derivatives Ecosystem for Crypto Assets. The trading volumes in crypto are still no match for stocks and forex market volumes. Institutional investors are still shy of crypto markets since exchanges are currently not offering them instruments that give indirect exposure to cryptos nor provide many of the functionalities that are enjoyed by traders in traditional markets. 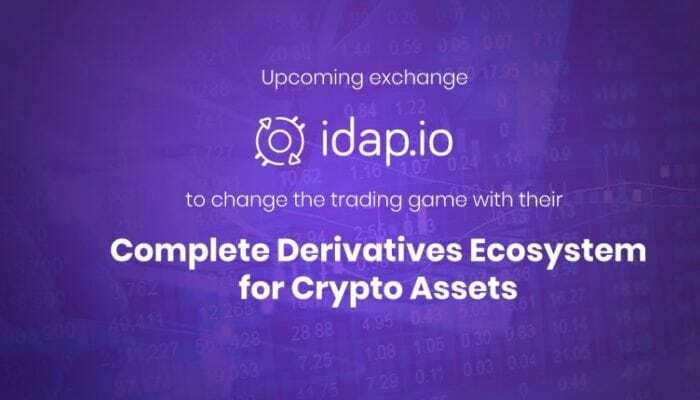 The idap.io ecosystem is changing this by proffering a myriad of crypto-based derivatives, all consolidated into one marketplace so that traders do not have to hop from exchange to exchange to trade all different types of financial products of their choice. By offering crypto-based Futures, spreads & butterflies, indices, American options and perpetual swaps, idap.io is delivering the choices traders so dearly need in today’s crypto trading landscape. Derivatives in crypto are not new, in fact, a couple of exchanges do offer BTC Futures or ETH swaps. However, in the absence of a single consolidated trading platform offering a diverse array of derivative products for all major cryptocurrencies, both retail and accredited investors have not been too thrilled by the exchanges where derivatives can be traded. The founding team of idap.io has members who have been professional traders for the past 8-10 years before switching to crypto and have engaged with some of the world’s best exchanges. The stark contrast between the quality of trading experience that is provided on crypto exchanges as compared to traditional ones is what prompted the team to conceive their revolutionary new platform. The idap.io ecosystem is solving two key problems with its product offerings and innovative new features. Firstly, it is making crypto trading more accessible for those who have professional experience in traditional markets and would like to test the waters of crypto while having the convenience and familiarity of trading instruments like spreads and swaps. Secondly, it is helping all grades of crypto traders hedge and speculate using different trading products by the introduction of a wide variety of derivatives. Thereby, traders will be able to diversify their portfolios and manage their risk more effectively. Instruments like spreads and butterflies are lower in risk as compared to directly trading cryptocurrencies and this stands to appeal to the trading community as a whole. To further fuel Wall Street entrants into the cryptocurrency market, the platform is also providing a Master Account System. This will be especially attractive for Proprietary Trading Firms that employ hundreds of individual traders with them. A master account can be used to create ‘trade-only’ sub-accounts that have no power to make withdrawals or deposits. This way, a firm can control the master account while its traders use the subaccounts. The vision of idap.io is a better trading experience for all. 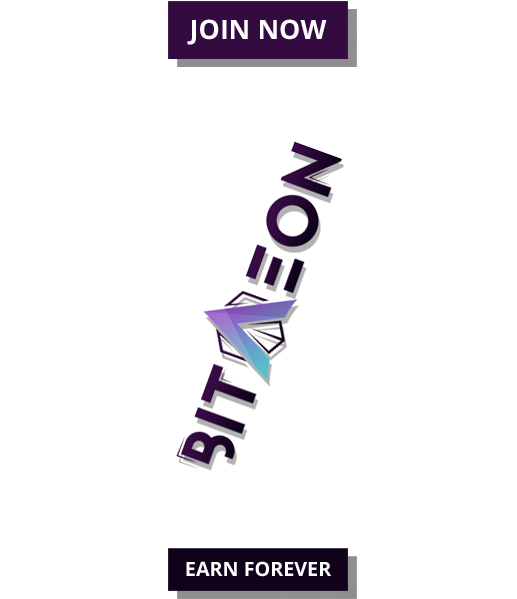 Thus, to aid beginners, the platform will also house a Simulated Trading Environment, enabling crypto trading practice using real market data but without staking any real coins or tokens. This will give entrants new to the scene a chance to train vigorously and develop a market sense before conducting real trades. Moreover, once the exchange goes live, supplementary videos, as well as certified courses, will also be provided to support those new to trading. A lack of sophistication in trading interfaces is also being addressed by the idap.io exchange. 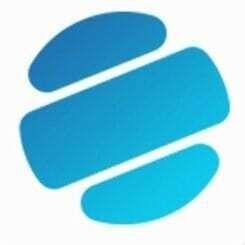 With their Desktop Trading Interface, the platform is bringing a desktop application to access their exchange. It will support multi-monitor setups, provide customisable trading workspaces and let traders enjoy ‘point-and-click’ ladder trading for seamless, accurate and lightning fast order execution. 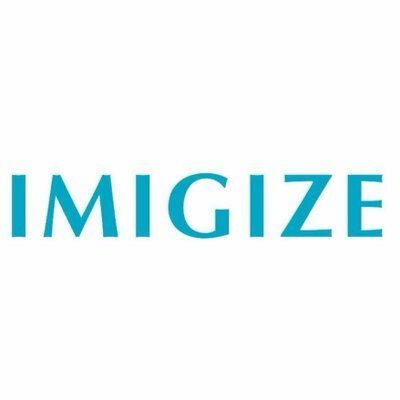 For professional traders, it will be a vital supplement towards a more strategic style of crypto trading, powered by advanced analytics and charting tools that help them buy and sell different kinds of instruments while easily keeping a track of their trades and managing their market positions. Boosted by the Simulated Trading Environment, neophytes will also be able to avail the advantages of the highly customisable and novel Desktop Trading Interface. To fuel development of their exchange, IDAP Global, the parent company of idap.io is doing its Initial Coin Offering, selling 750,000,000 IDAP tokens to the public in three rounds of sale. The pre-sale is currently live and those wishing to know further can read more here. The IDAP token forms an integral part of the trading ecosystem, as all listed coins or tokens will be traded against it. Furthermore, paying trading fees in IDAP tokens will allow users to avail a 50% discount on their fees. The idap.io exchange stands in marked contrast to the exchanges operating today. The derivatives sector for cryptocurrency is still quite unexplored and by making the first move, the upcoming exchange is not just attempting to capture a potentially multi-billion dollars market, but through its product offerings, also tackling head-on many of the problems prevailing in the crypto landscape.